Elk Lake Capital is an independent, family-owned capital investment firm built on a tradition of four generations of business expertise and experience. Click here to learn more. No matter the size, industry, age or location of your business, one of the most important pieces of the marketing puzzle is a solid strategic foundation. That’s why Times-Shamrock Communications offers a full suite of resources to strengthen your efforts every step of the way. From customer profiling to market analysis, media planning to custom creative design, and results tracking to effectiveness research, Times-Shamrock Communications delivers the services and insights you need to succeed. We are in markets all over the country including Scranton, Milwaukee and Baltimore, with enviable reach through print, outdoor, broadcast, creative services and online. Our reach is extended even more with national partnerships such as Google and the Local Media Consortium. Our products are top-notch but it’s our service and solution-minded intellectual capital that sets us apart. Behind the success of today’s Times-Shamrock Communications is over a century of family tradition — a tradition of progress born of E.J. Lynett, who, in 1895 combined his love of journalism with his exceptional foresight to build the solid foundation of today’s media company. To ensure that his standards of excellence would not be lost in future generations, E.J. Lynett personally schooled his children in the business and profession. When he died in 1943, William R., Edward J. and Elizabeth R. Lynett took the helm of what would become the Times-Shamrock flagship. Under Edward J. Lynett’s guidance as publisher, The Scranton Times earned national recognition with a 1945 Pulitzer Prize. From 1891 to 1990, The Times’ strongest daily competition had been the morning Scranton Tribune. When it and its Sunday paper The Scrantonian ceased publication, The Times purchased their nameplates and continued the morning paper, serving readers who were accustomed to a two-newspaper city. The publishers’ devotion to progress and the needs of the community became evident on June 27, 2005, when after more than 250 years of combined service recording the life and times of the region, Scranton’s two newspapers became one — The Times-Tribune. The transition to a single morning newspaper came after an investment of more than $6 million in newsroom and printing plant technology and equipment. 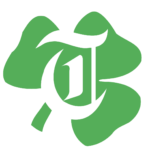 In addition to The Times-Tribune and the Standard-Speaker, which Times-Shamrock purchased May 1, 2007, the company owns The Citizens’ Voice of Wilkes-Barre and the Republican and Herald of Pottsville. 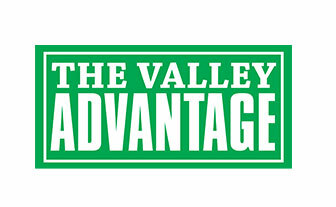 The Voice was founded in October 1978 by newspaper employees in Wilkes-Barre who sought working conditions better than those offered at the Wilkes-Barre Publishing Co. 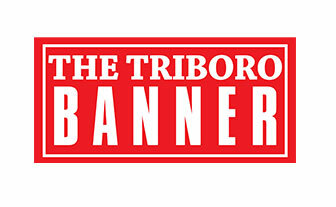 The newspaper was sold by its employee shareholder-owners to The Scranton Times on May 1, 2000. The Pottsville newspaper, founded in 1884, serves Schuylkill County and surrounding areas. In 1979, the paper was awarded the Pulitzer Prize for an investigative series. It was purchased by Times-Shamrock in 2003 and made the move from an afternoon newspaper to a morning edition a year later. Today, the broad-based media company has 15 print publications in Northeastern Pennsylvania, more than 10 radio stations in Scranton/Wilkes-Barre, Baltimore, Milwaukee and Reno markets, dozens of websites, a creative services division and a billboard company. Times-Shamrock’s four daily newspapers have a combined total weekly audience of 493,785, and its publications and radio stations reach more than 1 million Northeastern Pennsylvania readers/listeners each month. 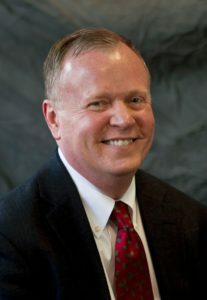 Donald Farley, President of Times Shamrock Communications Print & Digital, has been in his current position since September of 2011. Prior to becoming COO, he held the positions of Group Publisher of Times-Shamrock Alternative Newsweekly Division, consisting of five Metro-Newsweeklies located in Baltimore, Detroit, San Antonio, Orlando and Cleveland, as well as Publisher of Baltimore City Paper and General Manager of the companies Weekly Division… Don earned a B.A. in Communications from California University of Pennsylvania in 1983. Don has worked for the company since May of 1983. His first job with the company was as the Main Street Advertising Representative for the Daily Review in Towanda. In 1984 Don joined the Pocono Shopper in East Stroudsburg as the papers Manager and in 1986 assisted the company in opening the Wayne County Edition of the Pocono Shopper. In 1988 Don was named General Manager of the companies Free Paper Division overseeing papers in Owego, NY; Troy, PA; Honesdale, PA and East Stroudsburg, PA. In late 1988 Don accepted the position of General Manager at Baltimore City Paper in Baltimore, MD and in 1996 Don was named Publisher of City Paper. In 1999 he became Group Publisher of the newly formed Alternative Newsweekly Division. In September of 2011 Don took over the newly created position of Regional General Manager for the Times-Tribune, Citizens’ Voice, Standard Speaker, Commercial Printing, ADI and CNG. On January1, 2014 Don was named COO of Times-Shamrocks Print and Digital covering all operations in the Northeast Pennsylvania Region. 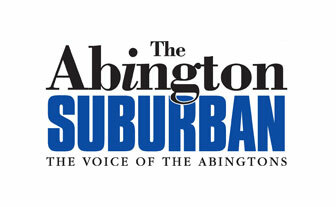 Don serves on the Board for the Wilkes-Barre Chamber of Commerce. He resides in Waverly with his Wife Maggie and Son Jesse. James Lewandowski, CEO for Times Shamrock Communications and Elk Lake Capital. Jim has over 20 years of experience in accounting, finance and treasury, beginning his career with six years in public accounting before moving to the private sector. He spent eight years as part of the senior management group for a Philadelphia family office focusing on financial management of the diversified portfolio companies along with acquisitions, dispositions and serving as a member of the strategic planning team. 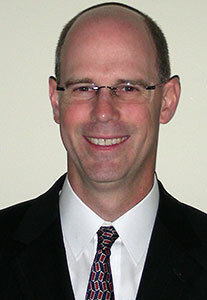 Jim served as CFO for a number of companies before joining Times Shamrock Communications in 2014. He is responsible for the overseeing all finance, accounting, risk management and treasury functions for the organization. Mr. Lewandowski earned a B.S. in Accounting from Penn State University and achieve his CPA designation while in public accounting. He is a member of the American and Pennsylvania Institutes of Certified Public Accountants. Jim now resides in NEPA with his wife Nancy and daughter Katie. The Times-Shamrock family of newspapers reaches a combined readership of more than a million in Northeastern Pennsylvania. Radio is an efficient, targeted advertising medium and Shamrock Communications has some of the most popular stations in their markets. 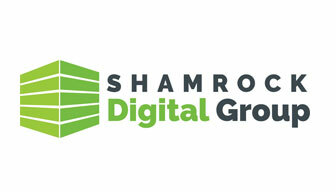 Times-Shamrock’s suite of digital products and solutions includes award-winning websites, and national partnerships. Times-Shamrock Outdoor has an ever-growing and significant presence in the Lackawanna and Luzerne markets. Times Shamrock Communication’s family of print publications, Web sites and niche products have the market dominance and reach that you need to cost effectively target your audience and maximize your return on investment. Times-Shamrock Digital, with our portfolio of Web sites, is the markets’ most trusted source for comprehensive coverage of local news, sports and entertainment. Our suite of Newspaper, Radio and Niche Web sites currently reach over 2 million monthly users, and collect more than 10 million monthly page views. This tremendous reach, along with tools like video and mobile advertising makes Times-Shamrock’s suite of Web sites the ultimate source for ad targeting, tracking and value. 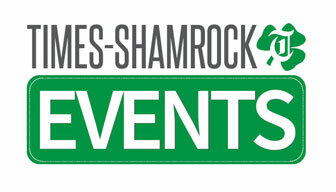 Shamrock Communications, Inc. delivers huge audiences in Scranton, Baltimore and Milwaukee. Radio advertising is an efficient, targeted medium and our radio stations’ reach in their respective markets can help your business. Reach Northeastern Pennsylvania listening audiences through Rock107, FUZZ 92.1 and ESPN Radio. Reach Baltimore’s core market through The Bay. Times-Shamrock Outdoor maintains an ever-growing presence in the Lackawanna & Luzerne County markets with boards in some of the most high traffic areas in the region. The Scranton/Wilkes-Barre/Hazleton market is strategically located in Northeastern Pennsylvania spanning Lackawanna and Luzerne counties. With a total population of over 400,000 and households of over 200,000, the market offers unique opportunities for business growth. Positioned just hours away from New York City and Philadelphia and within close proximity to the Pocono region, it has experienced major expansion in the retail and manufacturing industry. Scranton, Wilkes-Barre and Hazleton are each served by three of Times-Shamrock’s PA dailies, The Times-Tribune, The Citizens’ Voice and The Standard-Speaker creating an attractive media package in reaching this desirable market. Times-Shamrock Digital, with our portfolio of Web sites, is the markets’ most trusted source for comprehensive coverage of local news, sports and entertainment. This tremendous reach, along with tools like video and mobile advertising makes Times-Shamrock’s suite of Web sites the ultimate source for ad targeting, tracking and value. When it comes to the newspaper advertising Times-Shamrock gives us a really good outlet because, let’s face it, in this area people read the newspaper. So any time we do an insert it’s always been a tremendous success for us, we always get a very nice lift in our business. The increase in sales were probably the biggest, that made me the happiest. The publicity that we’ve received from customers coming in, old friends that I would see in the street saying that they’ve heard our ads, it’s just over and over and over again. The main advantages are that we’ve done other forms of advertising but we’ve not ventured into radio, now we’re exposed to the new market and that’s been very helpful. The people who are connected with this radio station can’t be any nicer and particularly our personal salesperson really understood our history, understood why we do we do. Times-Shamrock radio fits every demographic.  Radio is an efficient, targeted advertising medium and Shamrock Communications has some of the most popular stations in their markets. All-Access subscription plan provides you with access to all content on all platforms – print, online, mobile phones, tablet devices and e-editions. To get started, subscribe to home delivery today!